I am so pleased that you’re on the path to crystalline enlightenment! You are now registered for a private call with me where I’ll pull crystals for you and explain them. 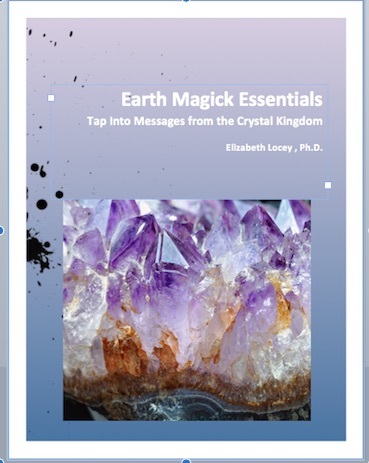 As a special bonus, I’ve decided to include a copy of my popular Earth Magick Essentials Guide. You’ll want to read it prior to our one-on-one call. The crystal pulls described in this exhaustive guide are exactly the ones I will be doing with you, but with more personal attention. I trust that you’ll enjoy it (everyone does rave). Look for an email about scheduling your call to come from me or my team in the next 2-3 business days. We’ll get on the phone, and I’ll pull stones from my bowl for you, explaining their significance so that you can really feel the support of the Universe flowing to you. You can ask any questions you like. Expect the call to run 15-20 minutes. AND, you’re automatically signed up for my series of crystal-pulling parties! These pulling parties do not feature the intimate attention that our one-on-one call will, but I suspect you’ll be hooked after our time together! Sometimes these pulling parties are multi-day Facebook events, and sometimes it’s a group call, but either way you’ll get notice of the event and the chance to ask for a free pull from me. Use this Guide for a more in-depth reading of the pull that you’ll do for yourself.